I've listed two more quilted vintage cotton ukulele gig bags in my Etsy shop. The one on the right is made from an original piece of William Morris Chrysanthemum fabric in muted browns and pale oranges. The one on the left is cut from a stunning piece of Peter Hall's 1960s Candida screenprinted cotton in browns, black and white. 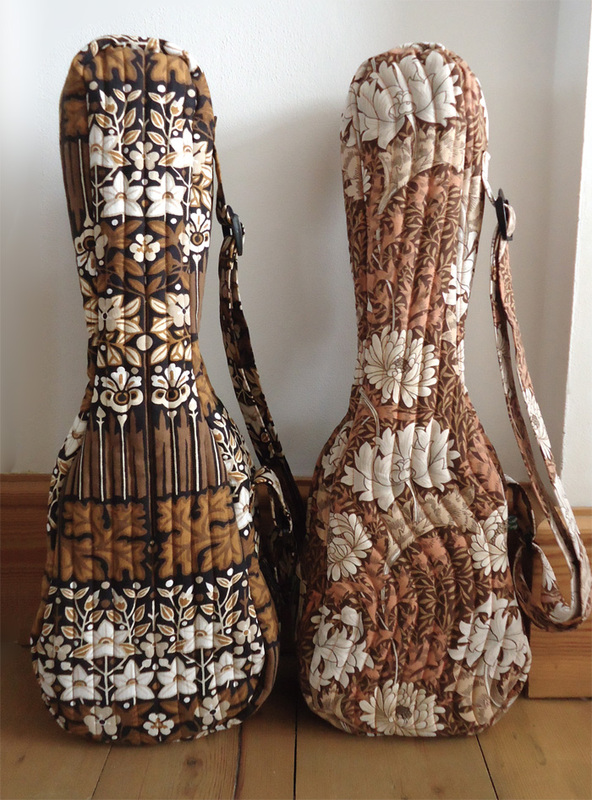 I previously made a bag for a pocket uke in the orange colourway of this design. Both of these gig bags are now available here.